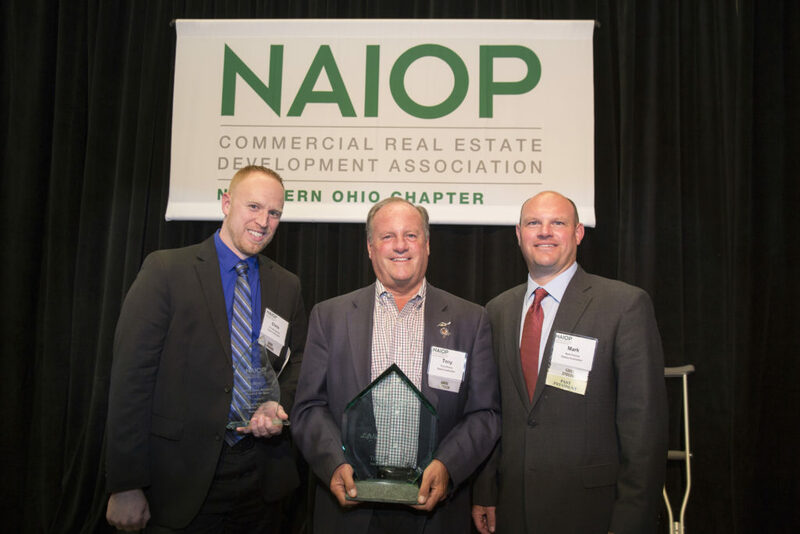 Panzica Construction was recently honored with two awards at this year’s NAIOP Awards of Excellence! The commercial real estate development association awarded our project Rosebrough Tiger Passage at the Cleveland Metroparks Zoo as their Exhibit Exterior Renovation Project of the Year. Project Manager Chris Montgomery accepted the award on behalf of our dedicated Zoo and Exhibitry team. In a surprise presentation, Tony Panzica was honored with the annual NAIOP Lifetime Achievement Award! 2017 marks Tony’s 40th year of building Panzica Construction to new heights. Recently obtaining licensure from the State of Florida Construction Industry Licensing Board, Tony aims to begin project work statewide where Panzica will focus on bringing their experience in construction management and design-build to service the healthcare, senior living, and mixed-use development markets in Florida. Congratulations Tony!